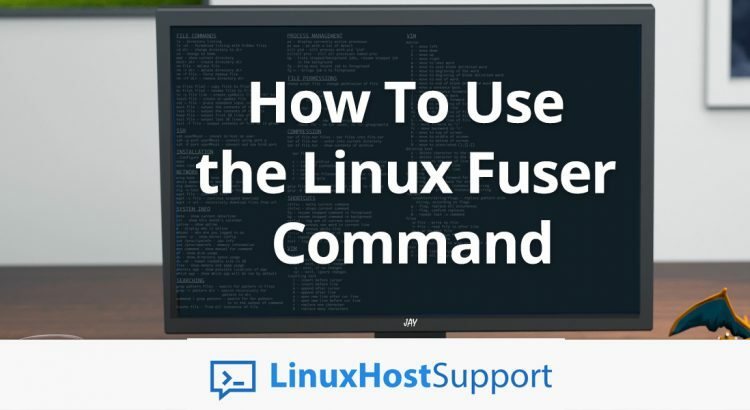 We’ll show you, How To Use the Linux Fuser Command. The fuser command is used to identify which processes are using a specific file, unix socket or file system. In this tutorial we are going to show you few examples on how to use the fuser command on a Linux VPS. To be able to use fuser command you need to have SSH access to the server. Connect to your server via SSH and run fuser. The output will notify you that no process specification is given and will show you some basic usage examples and options. The -v or --verbose provides verbose output and it is commonly used. One example is to list all the processes that are using the current directory. Please note, this will kill your Apache service if it is running at the moment. For more options and usage examples you can refer to the fuser man page. If you are one of our Linux Server Support services, you can always talk with one of our Linux Experts about Linux Fuser Command and how you can benefit from it.